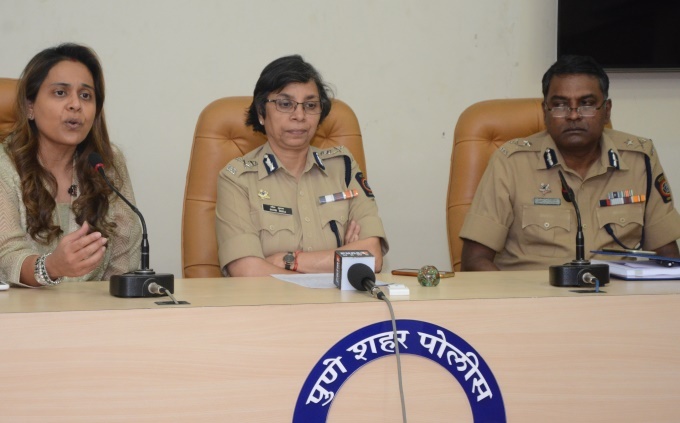 In a bid to create road safety awareness among civilians, Finolex Pipes and Gulf Oil Lubricants, in association with Pune Police and Traffic Police Department, came together to commemorate the Road Safety Week in Pune. The two companies have agreed to distribute 1,600 helmets and face masks to the Pune Police officials. To mark the occasion, a 36 km Road Safety Rally will be organised on 15 January 2017. The rally will be flagged off from the Pune Police headquarters, Shivajinagar, Pune at 7:00 A.M. The rally circuit has been coursed to spread awareness across all corners of the city. Speaking about the initiative, Mrs. Ritu Chhabria, Director, Finolex Industries and Managing Trustee, Mukul Madhav Foundation said , “As a responsible corporate citizen, Finolex is committed to the cause of Road Safety. We firmly believe in the initiative as it is a very good opportunity to create awareness about Road Safety which today is the most important factor connected with everybody’s life.” She also appealed the people to join us for the Bike Rally and come forward and partner for this important initiative. The Road Safety Week marks the importance of responsible driving. The event will witness participation from officials of Pune Police and Traffic Police department, employees of Finolex Pipes and Gulf Oil Lubricants, along with local bike enthusiast and biker groups from the city. The volunteers and participants of the rally will be create awareness on the necessity to follow traffic rules and regulations for smooth and congestion free driving experience.